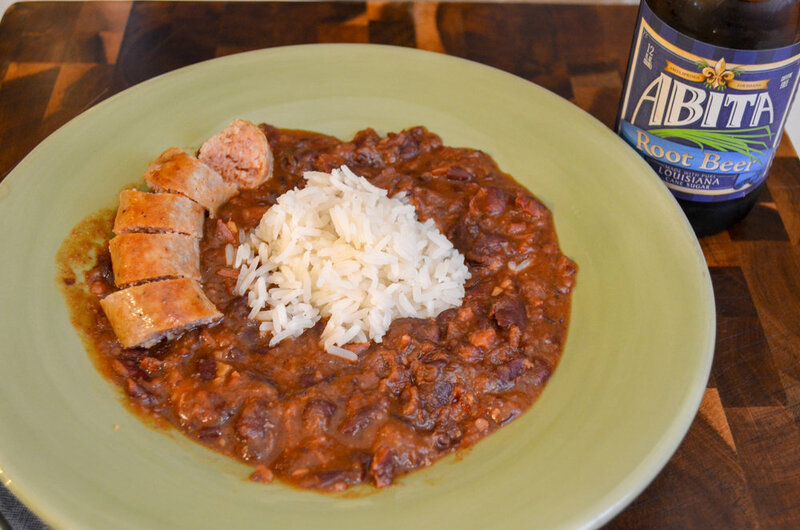 One of the most storied dishes in the New Orleans repertoire, Red Beans have long been a staple meal for the Louisiana family. 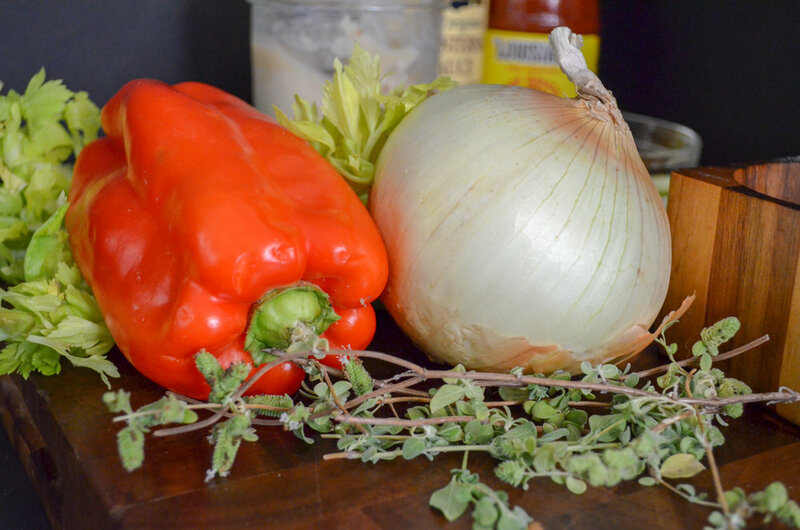 The Trinity - bell pepper, onion, and celery. The Trinity, sauteed in bacon fat. Red beans at the beginning of cooking. After about two hours, the liquid will reduce and the red beans will be soft. Traditionally served on Monday in coordination with “wash day,” the beans would be soaked and simmered alongside the laundry and served as the main meal of the day. For a long period of my life I had Red Beans for lunch nearly every week. Outside my office in downtown New Orleans were a dozen restaurants, all offering this ubiquitous Monday special. 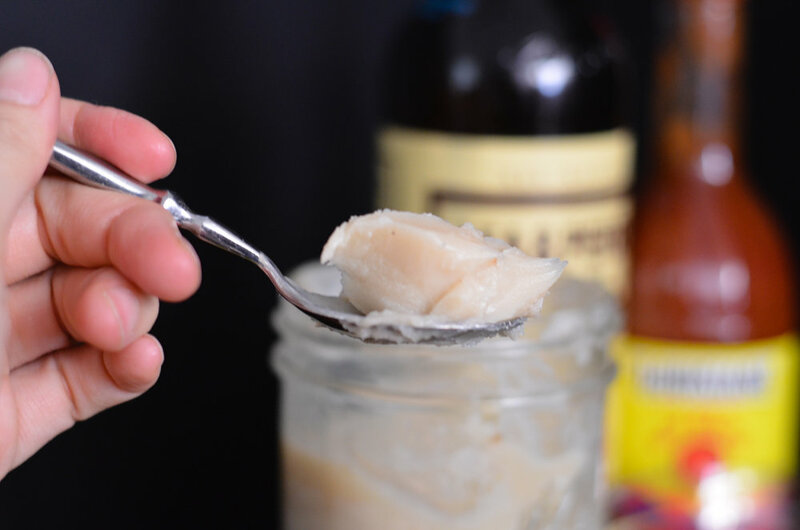 Unlike New Orleans’ famous seafood dishes, and luckily for this desert transplant, you don’t have to live near the Gulf of Mexico to recreate this in your home. These days I love making a big pot of Red Beans when I’ve got a left-over ham bone after a holiday. The key here is maximizing the meaty, smoky flavor. If you don’t have a left-over ham bone, ask your local butcher to point you in the direction of a ham hock or two. In a large bowl, cover beans with plenty of water, add the Kosher salt and dissolve, and let them soak overnight, or for at least 8 hours. Drain before using. Add olive oil and bacon fat to a Dutch oven (or render fresh bacon fat by browning ¼ lb of diced bacon, removing the crispy bits and leaving the fat behind) and sauté onion, celery and bell pepper over medium-high heat until browning begins. Lightly salt. Add minced garlic and continue to sauté until aromatic, careful not to brown the garlic. Deglaze the pot with white wine. Add soaked beans to pot and cover with water, about 2 inches over the top of the beans. You can always add more water while cooking, but you can only remove too much water through boiling. Add ham hocks or ham bone. 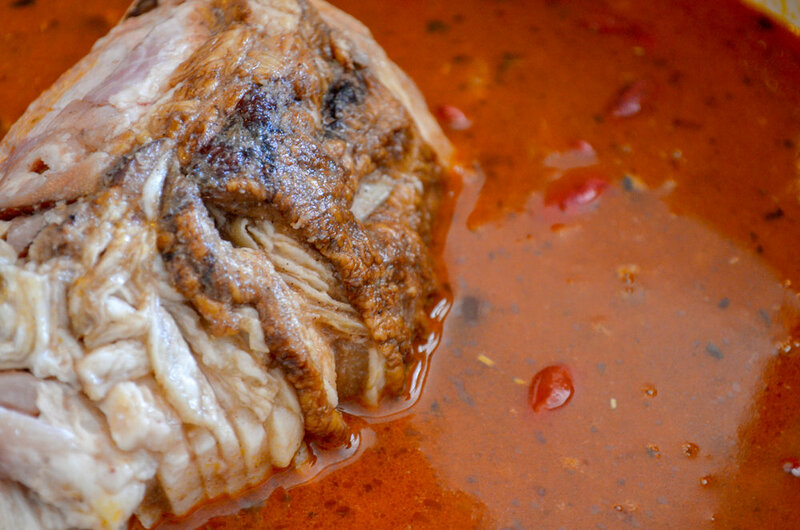 Bring to a soft boil and simmer for at least 2 hours, stirring occasionally to prevent sticking and burning. Louisiana-style Red Beans are traditionally cooked low and slow for a long period. The beans will break down and become very creamy. Remove the ham bones from the pot and remove the desirable meat. Rough-chop the meat and return it to the pot, discarding the bones. Add marjoram, hot sauce, Worcestershire and Creole seasoning. Using a potato masher, mash and stir the beans to your desired consistency. If more liquid is required, add water as needed. Salt to taste. Serve with steamed rice alongside grilled sausage, or my favorite, fried chicken. *Light red kidney beans are most commonly used in this dish, but dark red kidney beans have the same results. **￼Beans can soak up tons of fat. The more the merrier. If at the end of cooking you believe they need more, it is not too late. ***Smoked ham hocks are common in Louisiana supermarkets. If you cannot find them, non-smoked is fine, but you’ll need another source for your smoky flavor like bacon or a smoked sausage. ****Oregano can be substituted, but it is more aggressive so use it with caution. You may leave it out altogether.